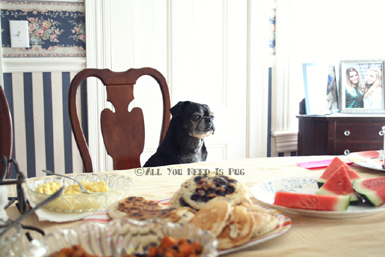 King Ringo was kind enough to order brunch for all of us on Saturday. 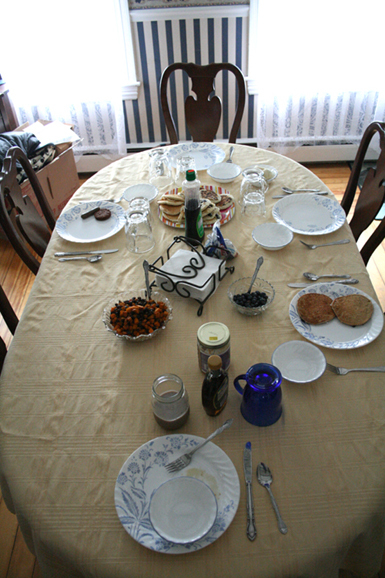 He enlisted mum and me to cook and demanded that he be seated first and have his choice of blueberry pancakes. Once finished, he fell asleep and left us to do the dishes. Ill-mannered though he may be, King Ringo is such a regal old chap that we believe he is entitled to his royal behavior. We are glad to report that brunch was to his satisfaction and he rewarded us with approving little snorts and sneezes. What's your favorite brunch treat? i'm so glad you could make king ringo happy. 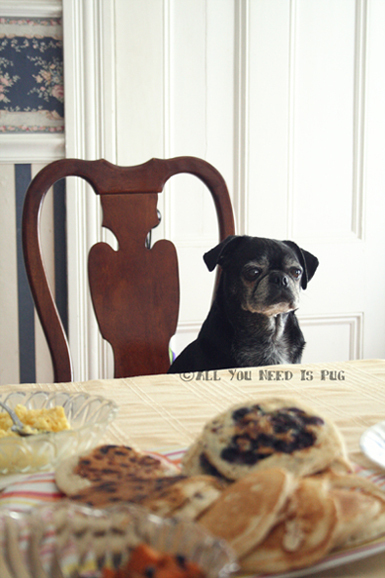 i know that pugs can have exacting taste.